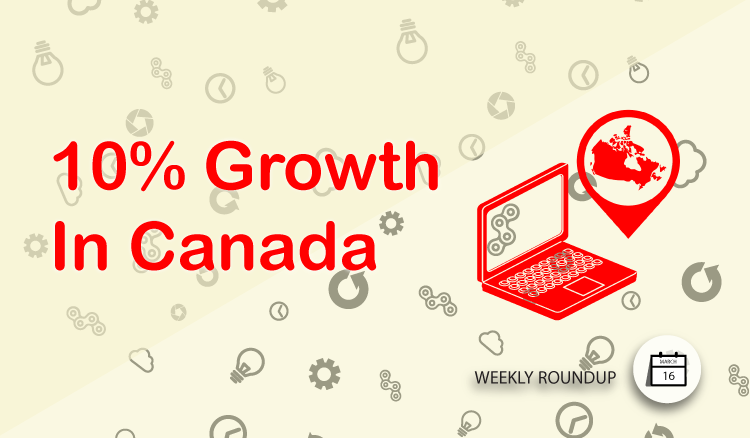 After two Weekly Roundup articles looking at eCommerce growth in the US and Australia, this week finishes by examining the same trend in Canada. According to data provided by Tableau and arranged and prepared by Statista, eCommerce sales grew just shy of 10% in 2017. While this number may not be as significant as the 17% jump the U.S. market saw in in the same period, the rise in Canadian online sales is still meteoric and is bigger yet in the affiliate channel. Comparing year-to-date stats from 2017 and 2018, AvantLink Canada is seeing more growth in the affiliate channel than both the US and Australian networks. 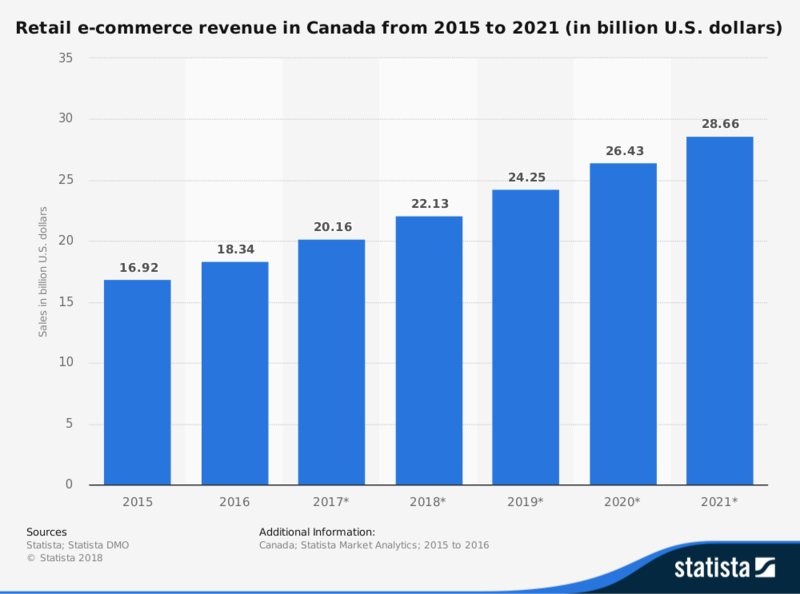 When AvantLink Canada was launched in 2012, it was estimated that the Canadian eCommerce sector was roughly 10-years behind that of the US, but with an expectation that it would catch up faster and faster each following year. Fast forward to the present, and this scenario has played out almost exactly as predicted. In Canada, the affiliate channel has become one that is well-established but not entirely mature as it is in the US and Europe. Combine that life cycle gap with the country’s rise in eCommerce spending and you get a golden opportunity for affiliates to jump in on a channel that is critical to online retailers but is waiting for the next generation of creative, driven affiliates that are already present in those other mature markets. Not a member of AvantLink Canada yet? You can apply to join here or see all of the Canadian affiliate programs available now. Black Diamond Equipment’s roots lie in the hand-forged climbing hardware of Yvon Chouinard, who started selling his gear from the trunk of his car in Yosemite Valley in 1957. Chouinard’s visionary equipment revolutionized the climbing world by raising performance standards while also leading the sport to new and sustainable ethics. Join the Black Diamond affiliate program. Cairn is the first-to-market and largest outdoor subscription box service. At Cairn, we offer monthly and premium quarterly deliveries of curated outdoor gear in 1-month, 6-month & 12-month options, as well as the option to gift boxes to others. The subscriber profile helps us select products that best match your outdoor activity and lifestyle preferences – for example, if you prefer backpacking over car camping, have a dog, are a vegetarian, etc. Join the Cairn affiliate program. Dreamzy Mattress was founded 25 years ago in Germany. Our brand has grown so strongly that we now offer an exclusive mattress for the US market. Unlike other online only brands we have the experience and knowledge of knowing what works for our customers. Each product is handmade and passes a rigorous QC process before shipping. We also provide individual serial numbers on all products for higher quality control should there ever be an issue after sale. Join the Dreamzy affiliate program. Being fishermen ourselves we knew what fishermen wanted—a high quality fillet knife at a reasonable price that is safer to use, holds its sharpness, and resists corrosion. We have not only built a fillet knife for fisherman but have developed a patented gripped collection of cutlery and tools for any outdoor enthusiast. Whether you’re a hunter, fisherman, hiker, camper, survivalist, or chef we have a knife for you. Join the Bubba Blade affiliate program.